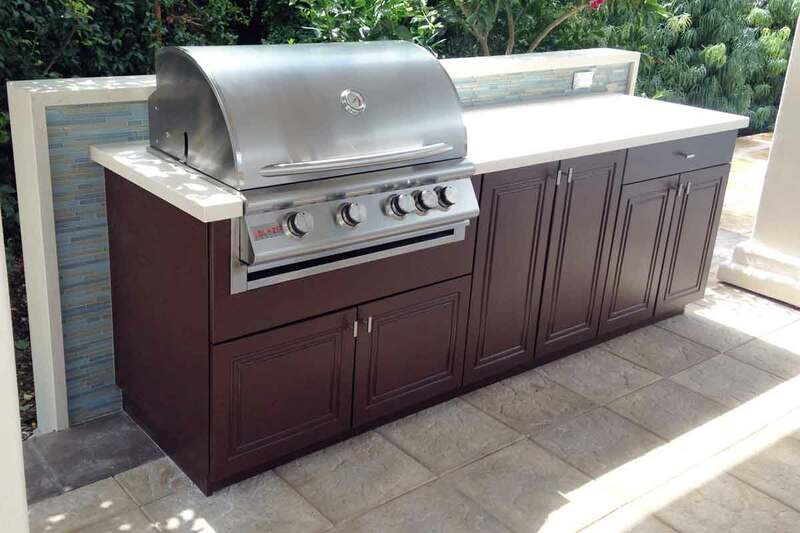 The most common outdoor kitchen cabinet is the Base Cabinet with a Single Drawer. 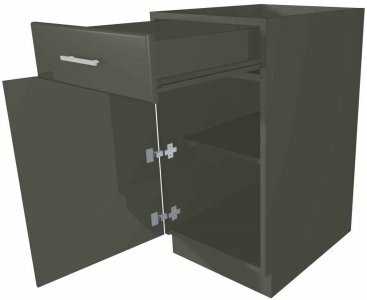 It has a functional drawer above a cabinet with an adjustable shelf below the drawer. 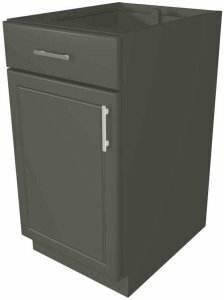 Single drawer cabinets 18 inches and smaller have one door. 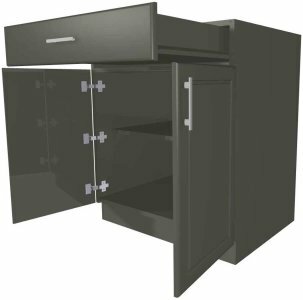 Cabinets 21 inches and larger have double doors. 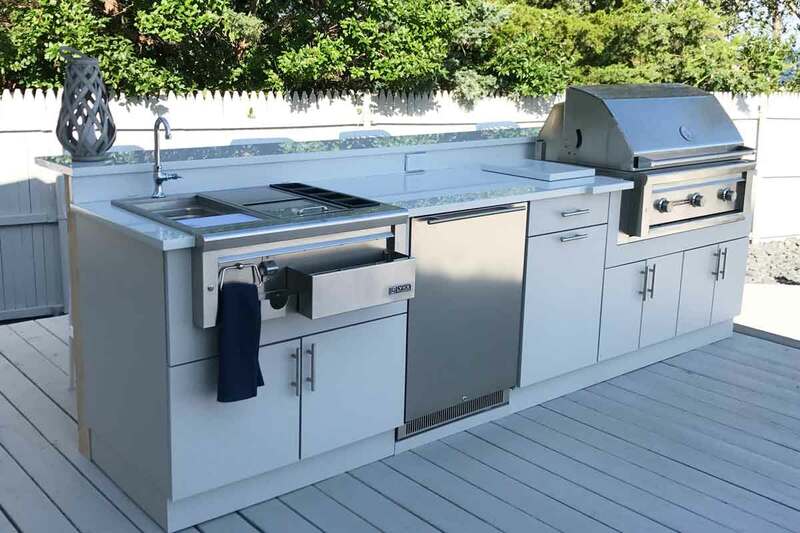 Having a drawer to hold long grill tools with storage beneath for serving plates and bowls is a great choice. 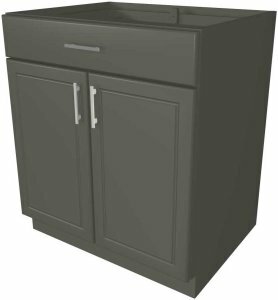 Many customers have reported that this is the most popular cabinet in their entire outdoor kitchen, followed closely by a pull out trash cabinet. 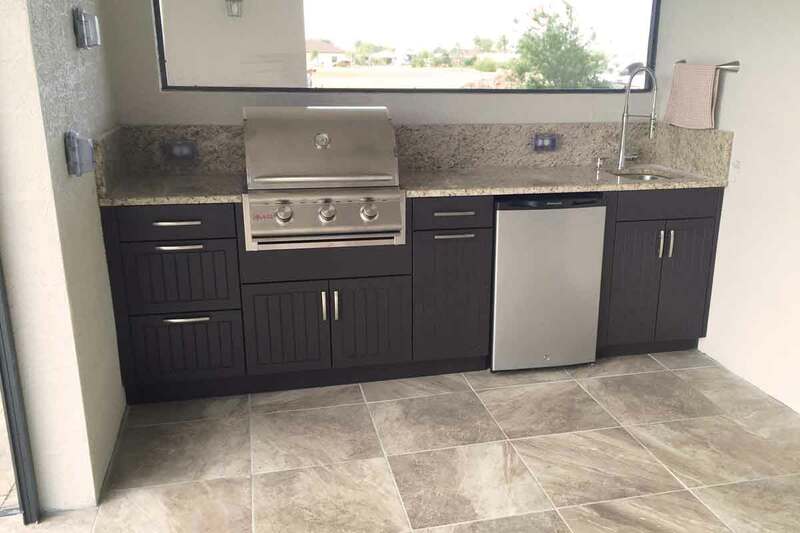 When you look at outdoor kitchen pictures on various websites to help plan your own kitchen, ask yourself where you will put your grill tools and serving items. 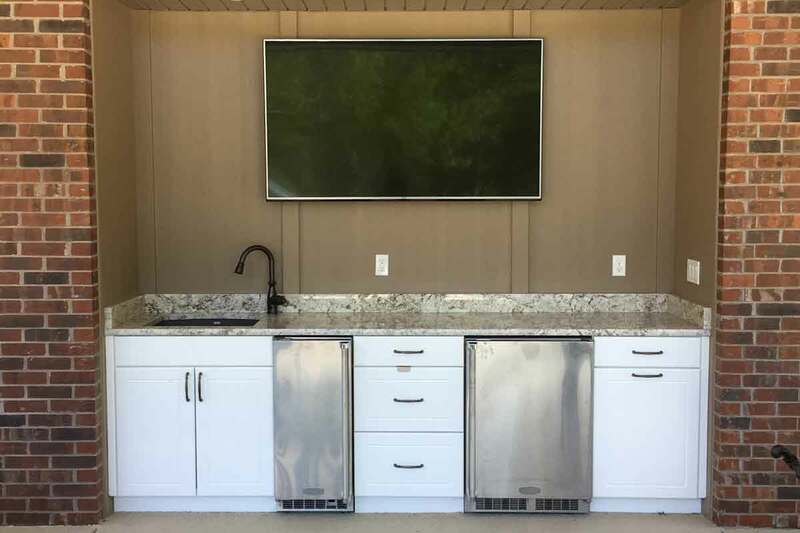 So many outdoor cabinets that look great in pictures fail the test of functioning as a practical food preparation area. 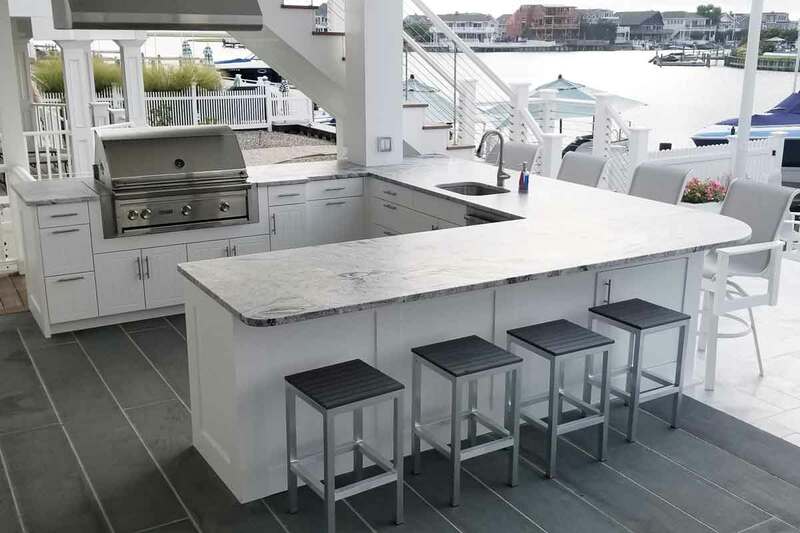 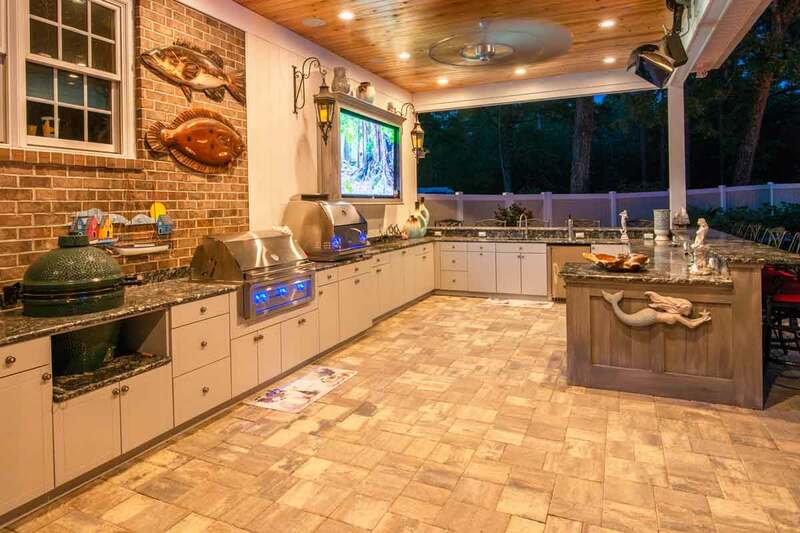 With Werever outdoor cabinetry, you can have the best of both worlds – a useful outdoor kitchen that is also beautiful.